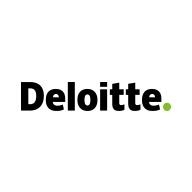 Deloitte Consulting's Analytics + Information Management (A+IM) Service Line designs, develops, and implements strategies, systems and processes to capture, integrate and distribute information in an enterprise to realize the value of information and data assets. At Deloitte, our professional development plan focuses on helping people at every level of their career to identify and use their strengths to do their best work every day. From entry-level employees to senior leaders, we believe there’s always room to learn. We offer opportunities to help sharpen skills in addition to hands-on experience in the global, fast-changing business world.From on-the-job learning experiences to formal development programs, our professionals have a variety of opportunities to continue to grow throughout their career. Able to configure AddressDoctor, Trillium for Address Cleansing and Standardization. Able to Integrate IDQ with external applications with SOA enabled using web services or JMS. Able to use different types of transformations including Address Validator (AddressDoctor), Merge and consolidation Transformations in IDQ. Hands on experience in IDQ on developing DQ profiles, Data Analysis, Data Cleansing, Data Matching and error handling.